• Nandi Mask: Make art inspired by animals in HoMA’s collection! Kids can make a mask to wear inspired by the Nandi Head located in the Art of India Gallery. Book Swap: Participate in Bank of Hawaii’s pop-up book swap, a mini version of their annual event featured at the Hawaii Book and Musical festival. Bring a gently used book to swap. Books of all family-friendly genres are welcome. Bishop Museum Science Education Team: Meet staff from Bishop Museum and check out some insect specimens from their collection. Kids can learn about some of Hawaii’s native and invasive species, including the Hawaiian Yellow Faced Bee and endemic snails. Docent-Led Tours: Take a tour of the museum’s galleries with a docent. These tours are family-friendly and will highlight some of the exciting animals depicted in art throughout history. The CAFF Spring Rewind—April 2019: 10:30am + 1pm. Free. As we gear up for the 2019 Cultural Animation Film Festival (CAFF) in May, see a selection of previously screened shorts that celebrate cultures from around the world! 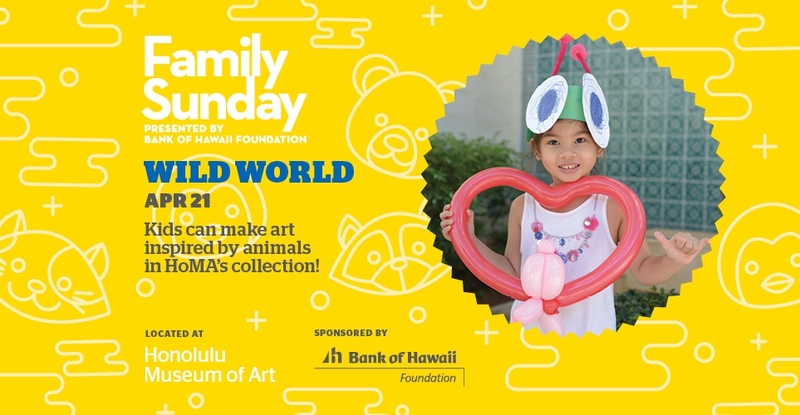 Take a shuttle bus to the museum’s free Family Sunday at Spalding House in Makiki Heights for more Family Sunday art and fun. The winner receives a Supporting Membership to the Honolulu Museum of Art ($120 value), and his or her artwork is posted on the museum's website and used to create the following month’s event brochure. 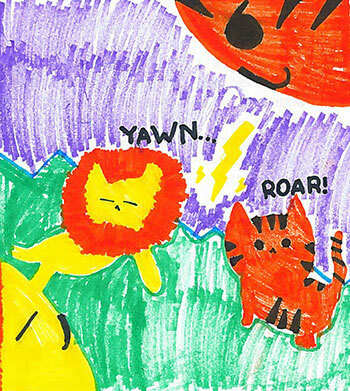 Congratulations to last month's winner, Grifynn Espiritu, age 7, from Honolulu!